Good morning! I’m short on time today and may not be able to get a full list posted, but wanted to share these two remote Canadian writing jobs with you since remote freelance writing jobs in Canada are hard to come by. So, for my fellow Canucks who are hoping to land an online writing job with a company in our beautiful (frozen) nation, here you go! Good luck! Happy Monday! Here’s a meaty list of writing jobs to help you kick this week off right after this weekend of crazy weather. A two-day ice storm in April? Really, Mother Nature??? Sheesh. I’ve got freelance writing jobs for beginners and experienced writers looking for online writing jobs, on-site jobs for my fellow Canadian writers, and a call for submissions from a Canadian magazine. You can have my list delivered right to your inbox by following via email using the link to your right. If you’ve stumbled across my site looking for a writer(s) to hire, you can also submit a free job ad or get in touch here if it’s me you’d like to work with. OUR TIMES MAGAZINE – Canada’s Independent Labour Magazine. “Working for a Living” is the name of the magazine’s ongoing series of short stories about work, by people from across Canada. They welcome unsolicited submissions of stories of what your job is like. Stories must be 2,000 or less. They’re after creative nonfiction stories from workers in Canada of all kinds that can be funny, sad, serious or all three. Payment is $100 per accepted story. Anyway, here’s today’s list of freelance writing jobs and opportunities for my fellow Canadian writers, too. I have also included a call for submissions for essays and poetry. SOWING CREEK PRESS – Submissions are open for their anthology: A Second Nature’s Healing book. They recommend reading the first anthology to get a good sense of what they’re looking for. Your story should fit the general theme that nature heals and be a true story from your life. Be sure to check the long list of possible topics, which range from estrangement and starting over to caregiving and physical illness. 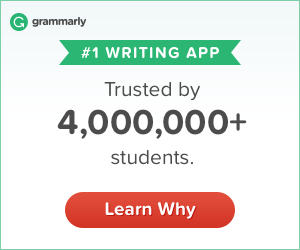 Pay is $50 per accepted essay and $25 for poetry. Deadline is June 1, 2018. This was a short week but I’ve been so swamped that I’m happy it’s finally the weekend! This writer needs a nap! 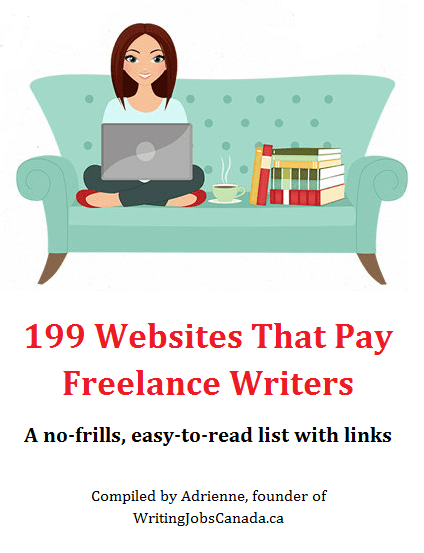 Today’s list of writing jobs has a bunch of opportunities for freelance writers, including freelance writing jobs for beginners and seasoned writers. For my fellow Canadians, there a couple of especially sweet in-house writing jobs for Global News and the Heart and Stroke Foundation. Good luck! Please let me know if you have any success with a job on my list. It really does make my day when I hear from writers who’ve scored a gig thanks to this little labour of love of mine! Hope the Easter Bunny was good to you over the long weekend! Now it’s time to pour yourself a post-weekend-sized cup of coffee and get back to writing with a list of new opportunities. Today’s list of writing jobs includes online writing jobs for writers who want to work from home. Canadian freelance writers will be pleased to see that the first two jobs listed are remote writing jobs in in Canada. The rest are open to writers anywhere. There are also on-site writing jobs, as always. You can have my list of writing job leads delivered to your inbox by following via email using the link to your right. If you’re here because you want to hire a writer, you can submit a free job ad. I’m also happy to share calls for submissions from publications anywhere in the world. Contact me here. Easter and Chocolate and Deadlines – Oh My! Hope you’re all enjoying this long Easter weekend! I’ve taken an extra-long weekend away from this site to meet some deadlines and enjoy Easter (and chocolate) with family and will be back with a new and meaty list of writing jobs on Tuesday (Apr. 3).